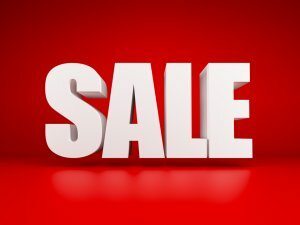 How does January sales signage influence our shopping? At a time of year when most households are reeling after a month of decadence; of overspending and credit reliance, it is a typically British idiosyncrasy that we love to hit the shops to spend yet more cash in January. Last year, total sales volume was 2.3% higher in January than it was in December. It’s partly habit, partly a curious tradition, and partly down to those irresistible and enticing signs that are inescapable in the period after Boxing Day. So which parts of our social psyche are targeted by the arrival of the Great British January Sale? It’s a big red sign, SALE is positioned centrally in white capital letters. The font is large, bold and clear, often a Sans Serif font type. But why should this appeal to shoppers? The colour red is used to attract attention and denotes a warning, alert or sense of urgency. This feeds into the atmosphere of fear that sales instigate. It’s a very delicate type of fear though: a fear of missing out. Customers start to feel disappointment if they feel that they have not achieved the bargain they had expected, and so begin to choose items that they would not ordinarily purchase. Some high street stores chose to cover their entire shopfront and windows with sale graphics and text. Consumers are educated in the language of the sale – the Buy One Get One Free, the Up to 70% Off, the Final Reductions. So conditioned are we to these phrases that we assume that we are immune to their learned associations. We believe that we are subverting the signage – even while we’re buying two extra pairs of shoes! By building an awareness of a store’s sales, the suggestive sales process begins even before you leave the house. Retailers can gently but repeatedly hit potential customers via television, radio, press and social media. With the consumer’s mindset focussed on achieving savings as opposed to recognising spend, a consumer enters the sale determined to buy. Once you’re through the doors, signposting and influencing your purchase decisions takes a shift in tone. The layout and display choices made by a retailer direct a customer’s attention to the information that alters their perception of value. Ensuring that original prices are clearly marked so that the assumed saving makes the customer feel that it is almost more expensive not to have bought the item! 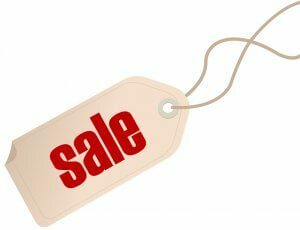 Sales psychology doesn’t have to be garish – to convey more of an upmarket clearance, look out for shiny metallic text and smaller font sizes. This signposting is working to suggest upmarket and luxury products which, in turn, signifies to the consumer that any savings on offer demonstrate even higher value for money. We’re talking about the realm of social media: Facebook, Instagram, Twitter and all the rest. It’s the ads or sponsored posts that you think you’re ignoring. Many of the same principles are maintained – colours and typeface, the sense of urgency. Items running out of stock, a discount code finishing at midnight. This way, however, achieving a bargain is so much easier – you don’t even have to leave your sofa! The January Sales have become a staple of the British calendar. They are an institution of the High Street, and it all comes down to the signage and display choices that retailers have developed over the years. Should you manage to make it through your local high street without making a single sales purchase, we salute you – you are clearly made of strong stuff. But we bet you still have that niggling doubt that you missed out on something… so it might be worth going back again to double check!